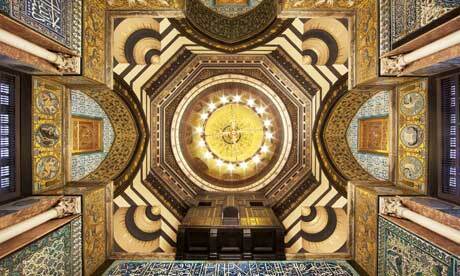 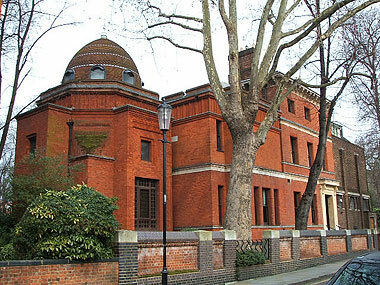 This former home of the painter Frederic, Lord Leighton has operated as a museum since 1929. 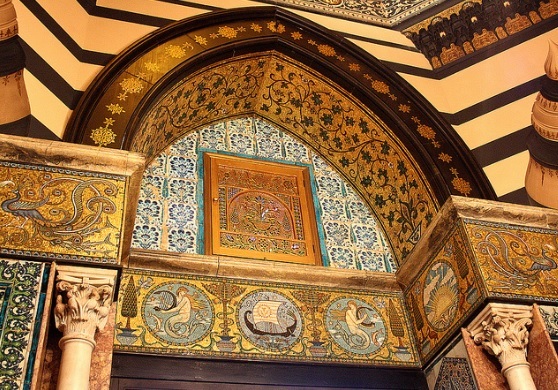 George Aitchison designed the first part of the classical style building in 1864. Construction began two years later and lasted for thirty years. 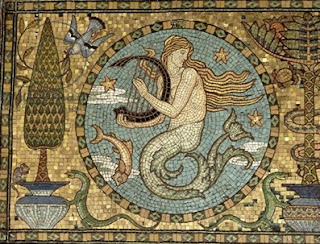 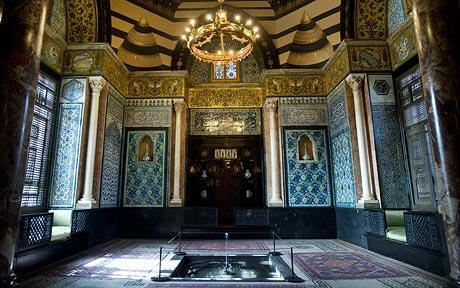 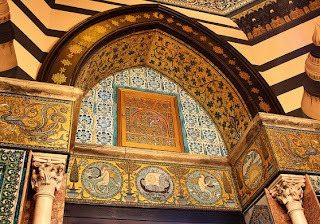 A major extension in 1877-79 added an Arab Hall, which contains many objects from Leighton's extensive travels, as well as a mosaic frieze designed by Walter Crane. 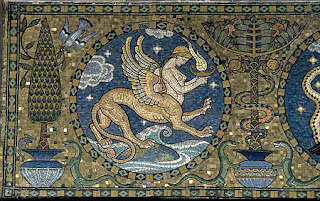 Crane based the designs of the hall on those of the palace at La Zisa in Palermo, Italy. 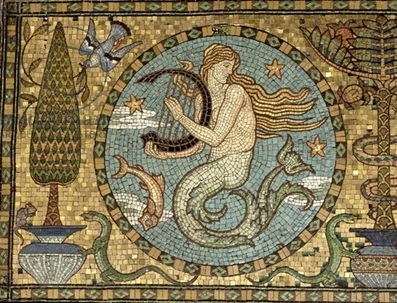 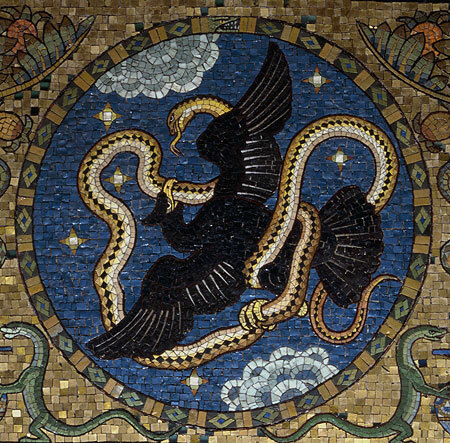 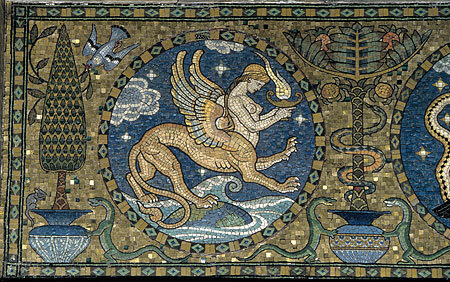 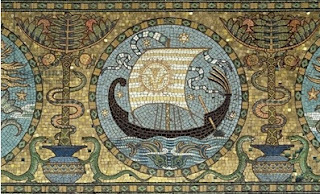 Salviati executed the mythological-themed gold mosaic work around 1881. 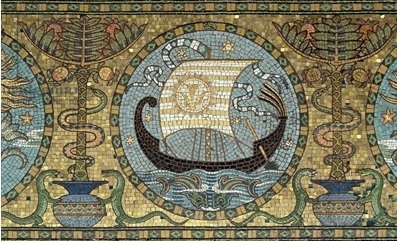 Salviati also made the mosaic portrait of Pisano in the Kensington Valhalla that was based upon an original painting by Leighton sometime after 1866.